The Braes Heights shopping center on Bellaire Boulevard at Braes Boulevard is getting a new exterior. 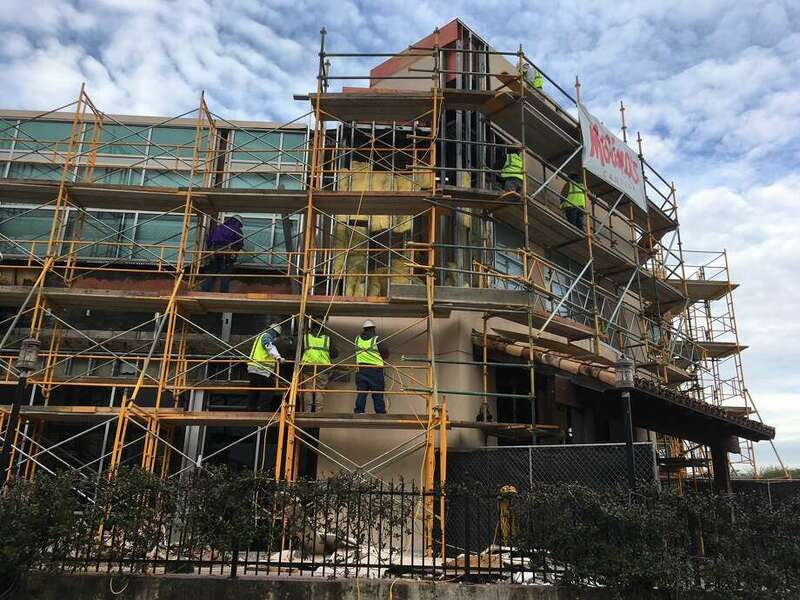 The mid-century Braes Heights shopping center in the 3800 block of Bellaire Boulevard is in the midst of a makeover by owner Brixmor Property Group. Brixmor will wrap up a redevelopment of the center, which spans from Braes Boulevard to Stella Link, in the second quarter, the company said. The work includes a new façade, improvements to the parking, landscaping and common areas, and repositioning and filling some tenant spaces. The Braes Heights center serves Southside Place, Braes Heights, West University Place and other area neighborhoods. The center is home to tenants such as Molina's Cantina, IW Marks, My Salon Suite, Paulie's Poboys, Orangetheory Fitness and CVS. Brixmor has been reinvesting in its shopping centers, using the proceeds from recent property sales. New York-based Brixmor owns 35 properties spanning 4.2 million square feet in the Houston market.